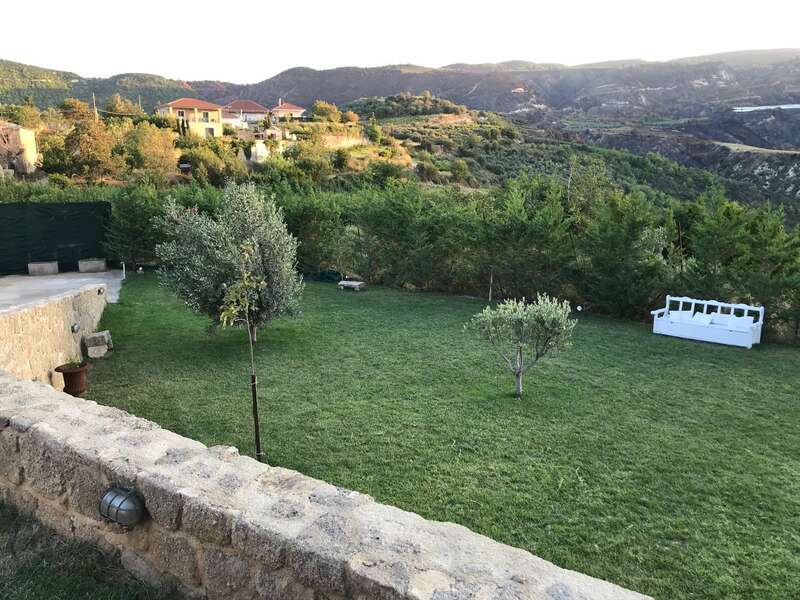 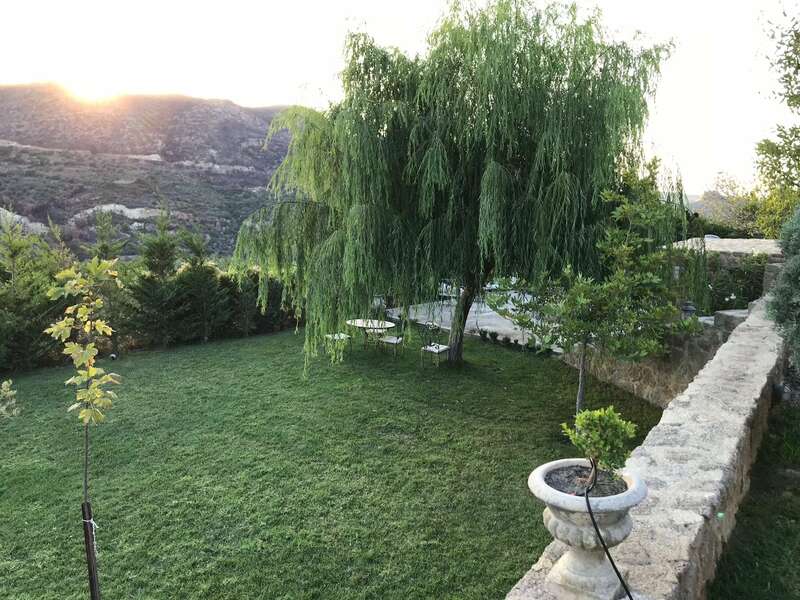 A unique traditional house with a lavish garden in the verdant village of Mikros Valtos in the Peloponnese. 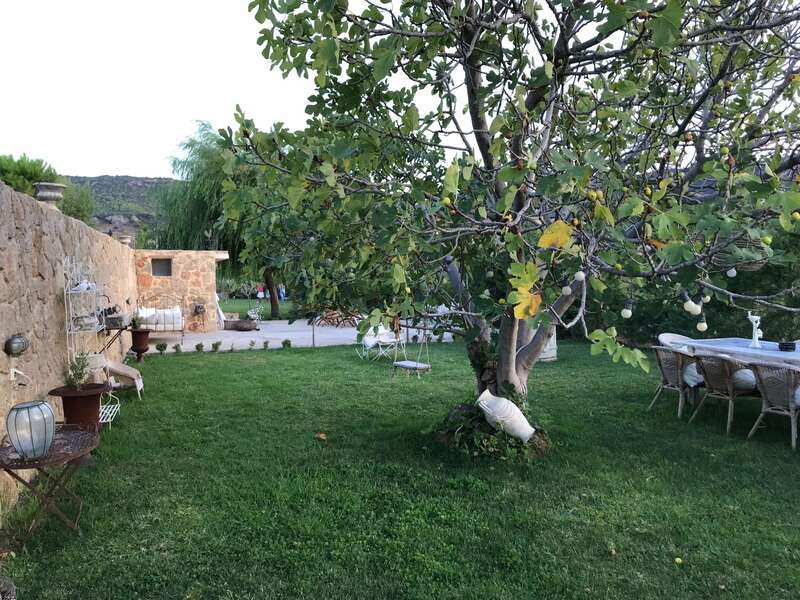 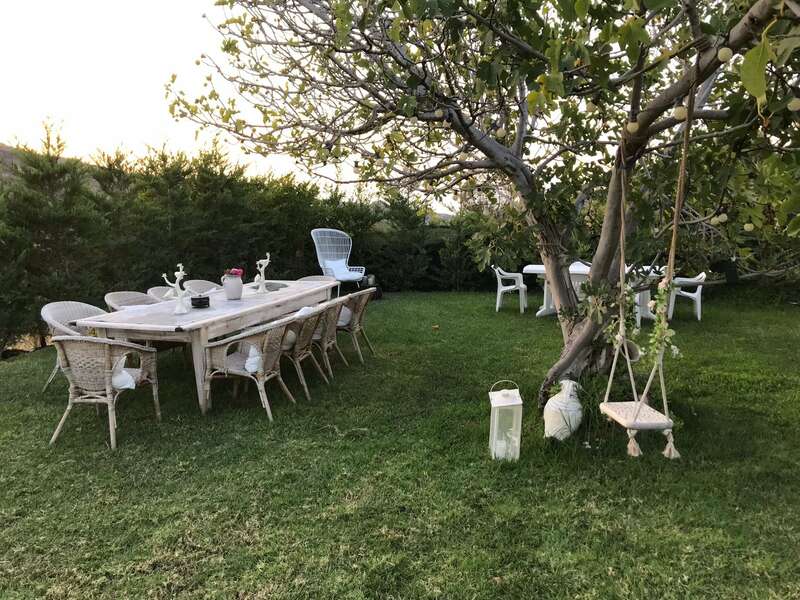 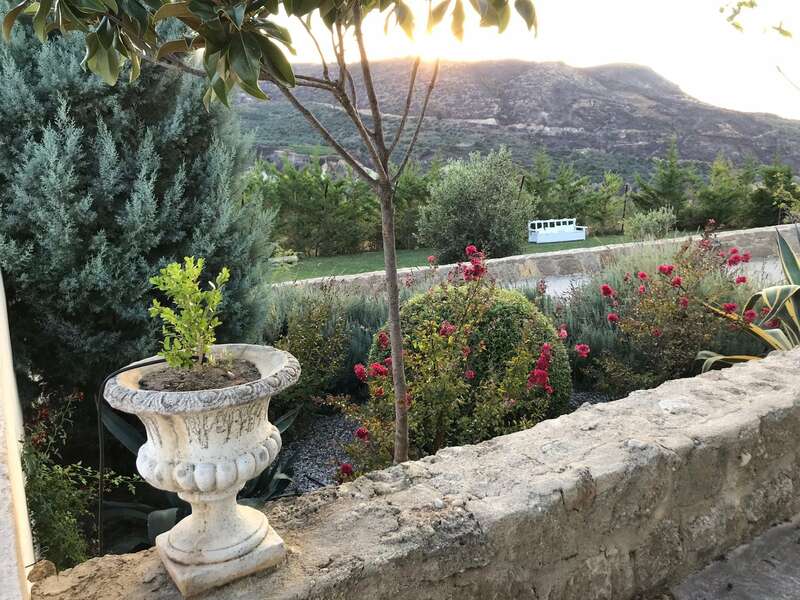 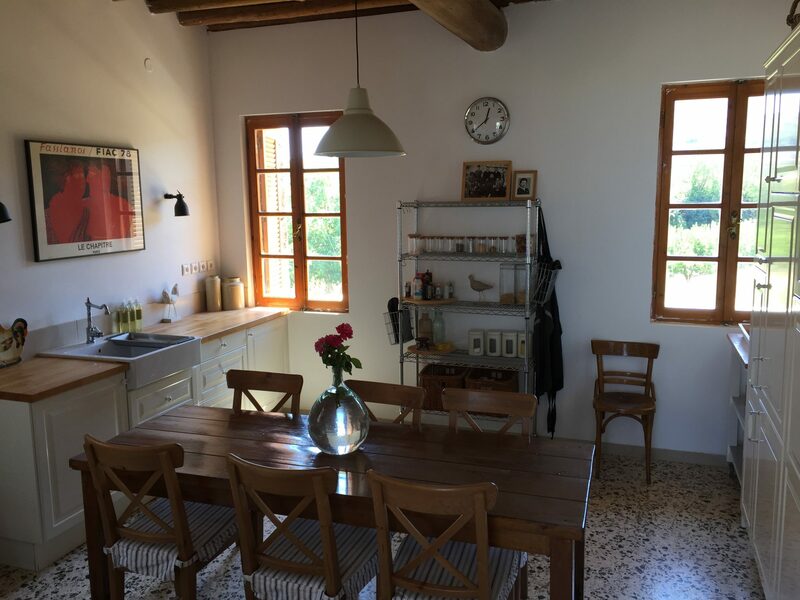 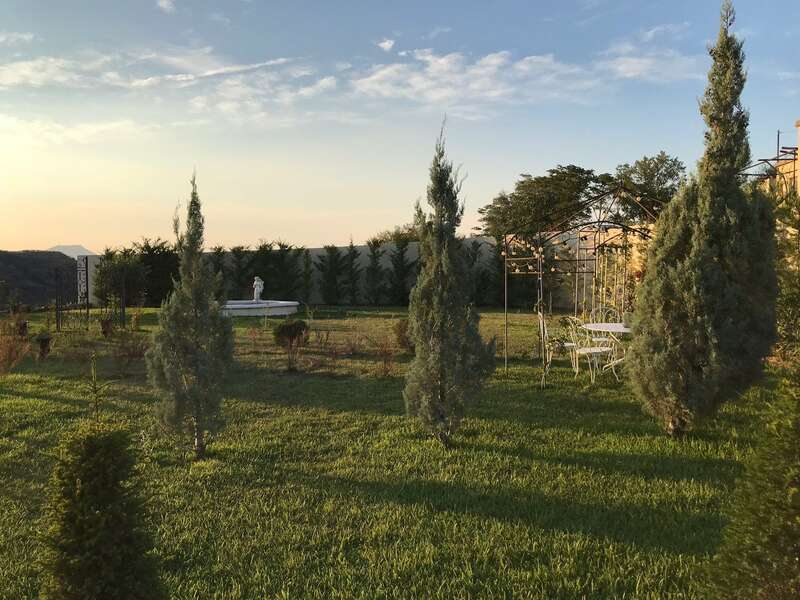 The settlement is built among pines, fruit trees and vineyards, overlooking the Corinthian Gulf and is located next to the settlement of 'Valtsa', which is surrounded by plane trees, and is a very popular destination. 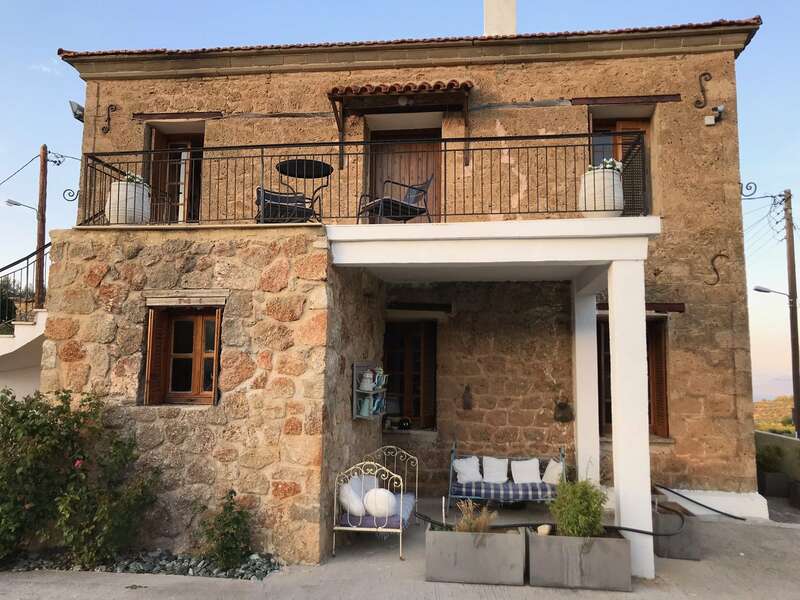 It is situated 20 minutes from the suburban railway of Kiato and the beaches. 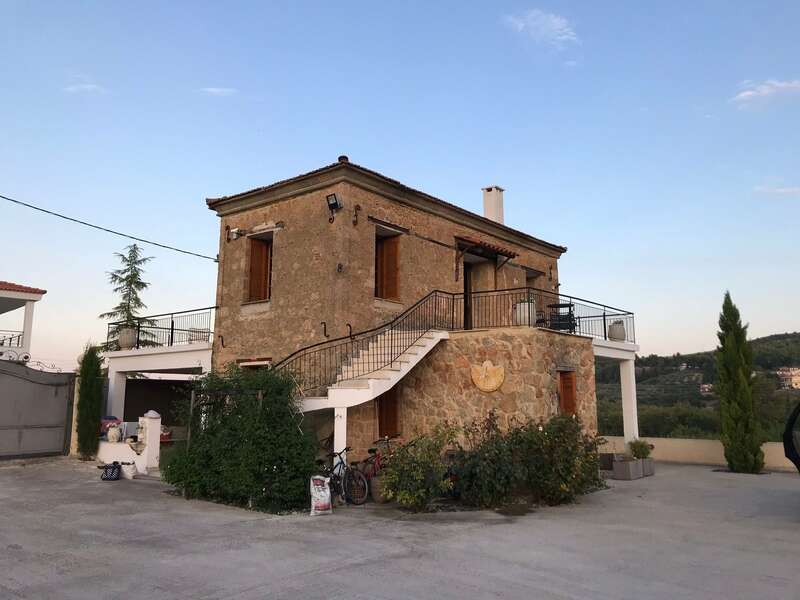 The house is located on a 1900sq.m. 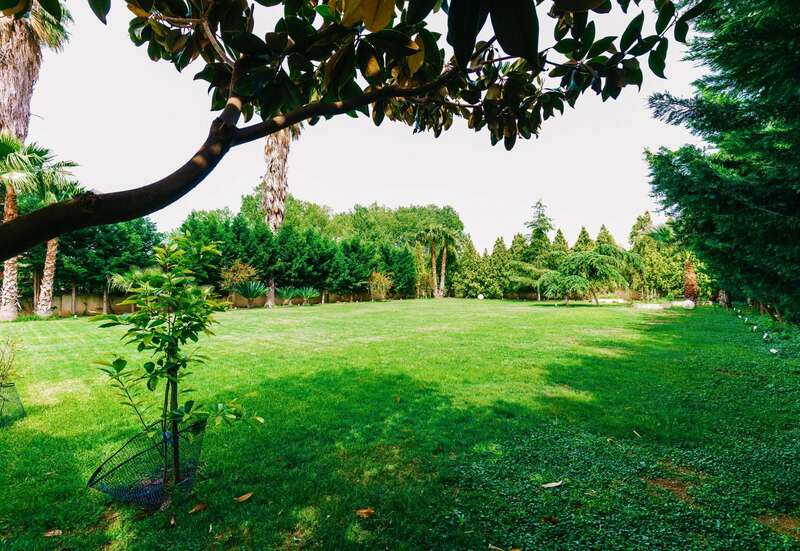 plot and offers a total of 145.75sq.m. 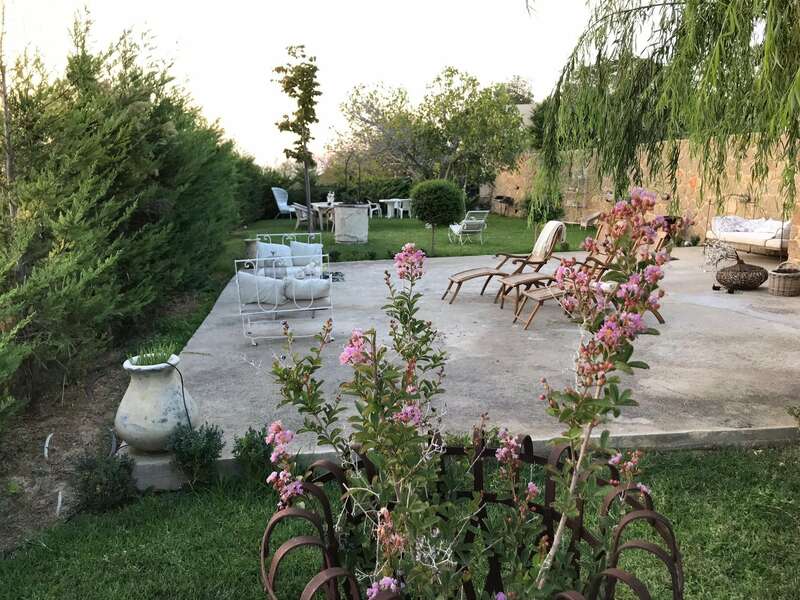 On the ground floor, of 76,60sq.m., a living room with a fireplace, a kitchen with a dining area and a bathroom and on the floor, of 69,15sq.m., one bedroom, one bathroom and a large living room that can be used as a second bedroom. 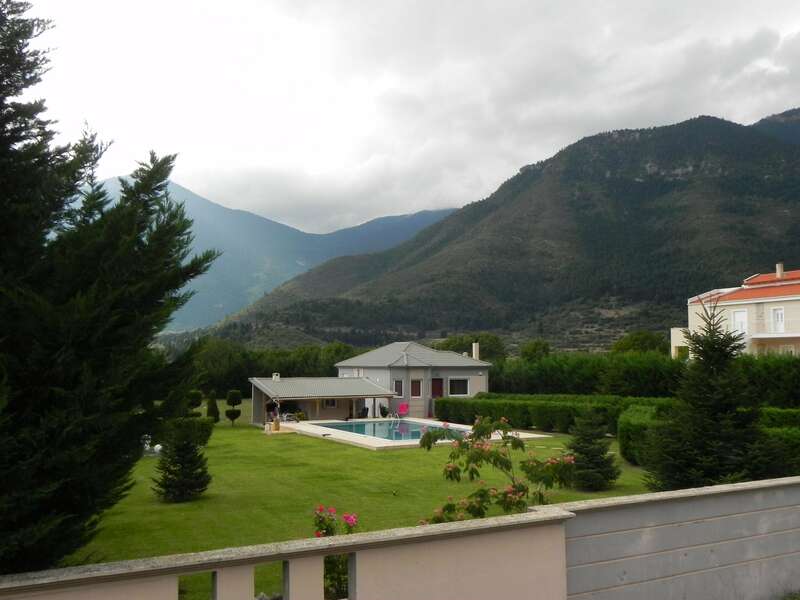 The house also offers a large terrace with a wonderful mountain view. 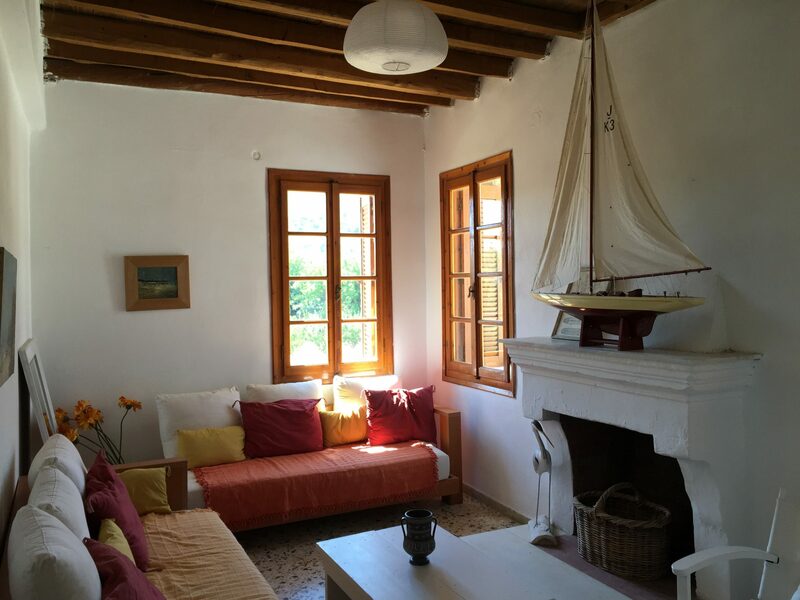 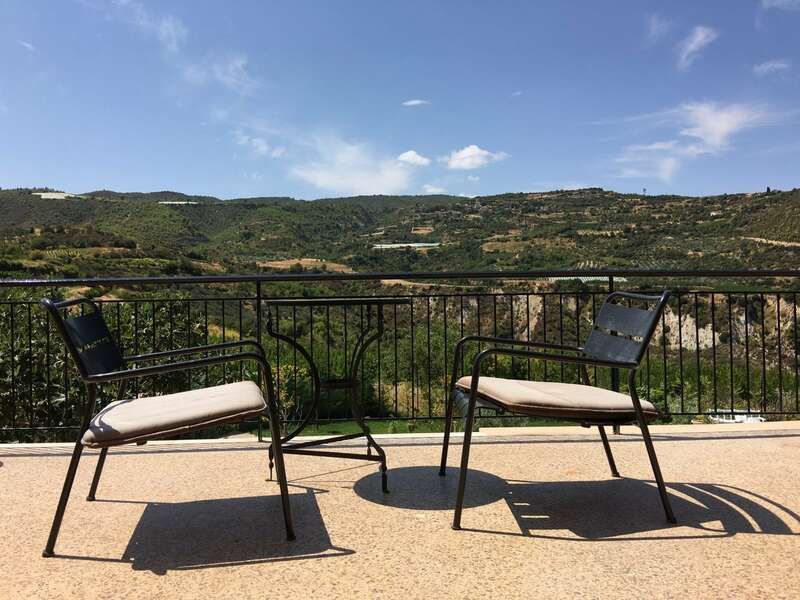 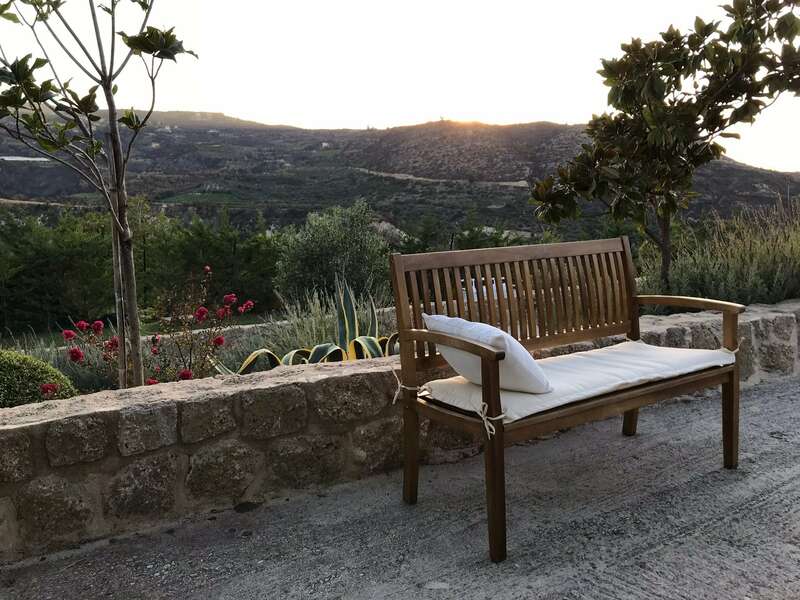 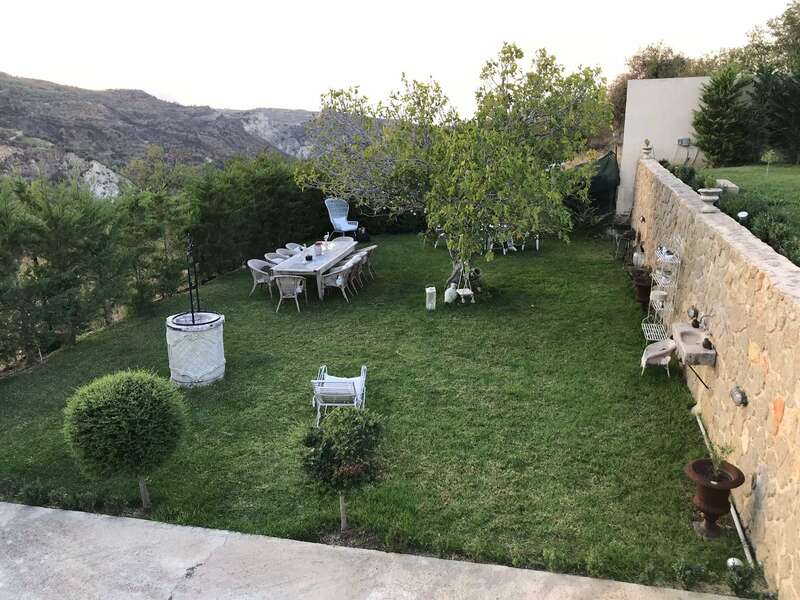 The property is surrounded by a charming garden with lovely outdoor sitting areas overlooking the mountain.